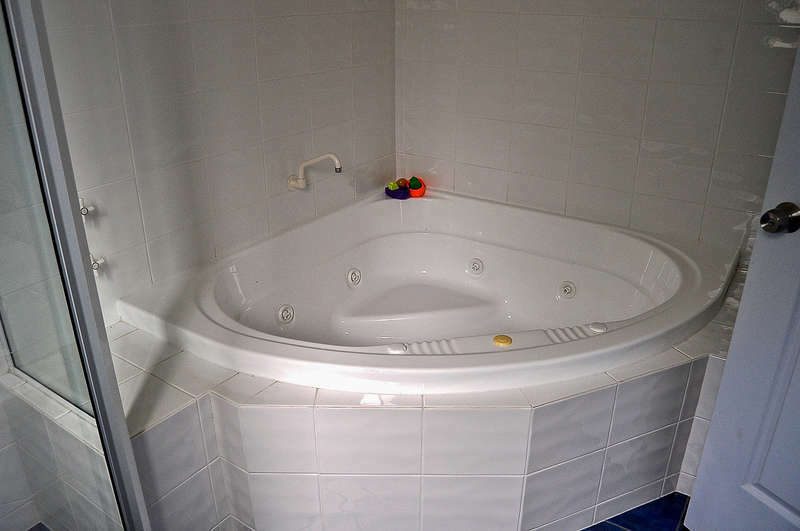 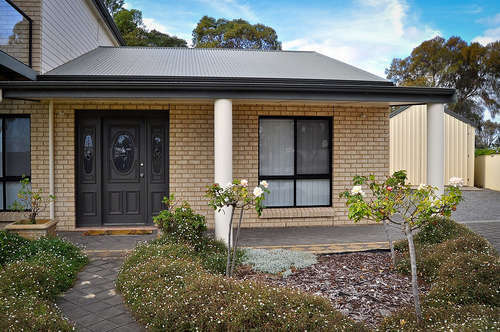 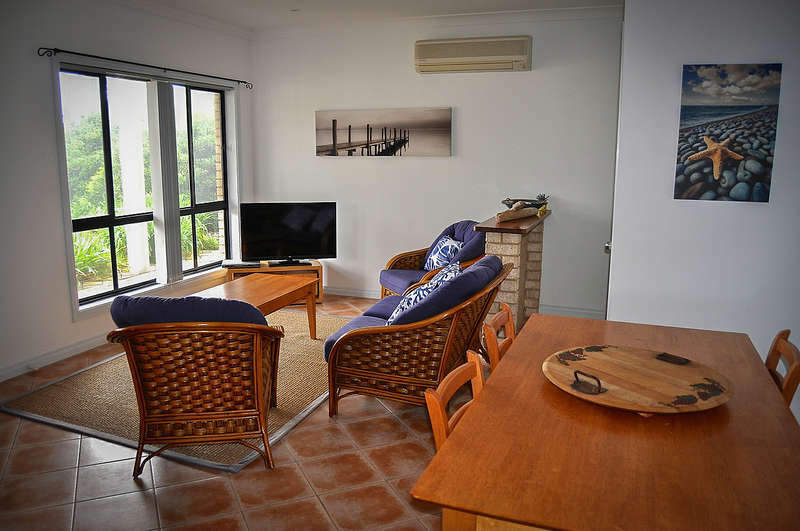 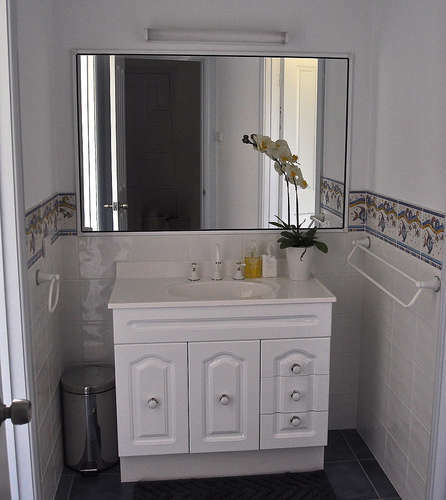 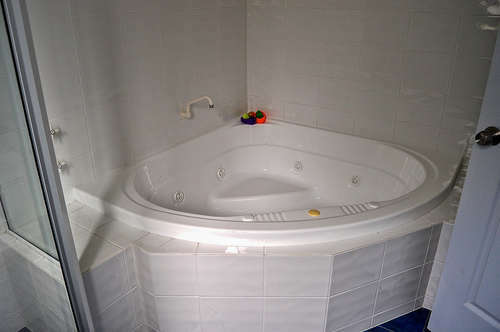 This modern comfortable well presented holiday home is perfectly laid out with 4 good sized bedrooms, two bathrooms and a second television area downstairs with Rattan Furniture. Microwave and Bar fridge..... Located just off the Esplanade, guests can enjoy the beautiful views without being on the busy Esplanade. 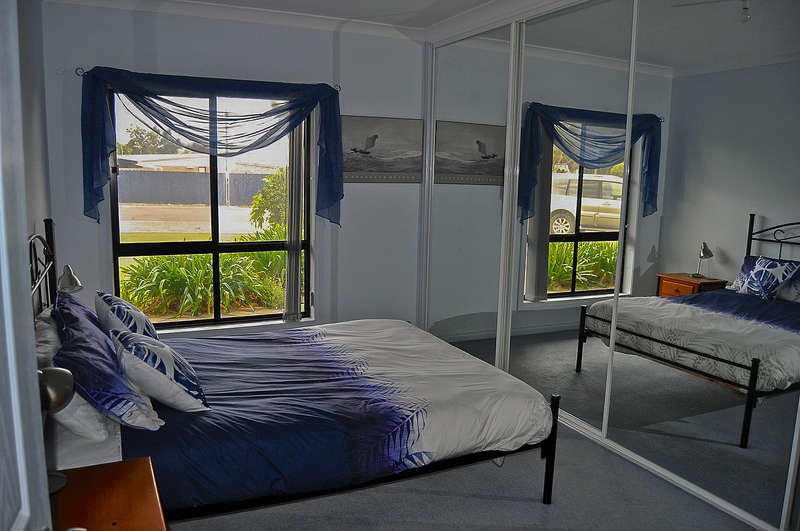 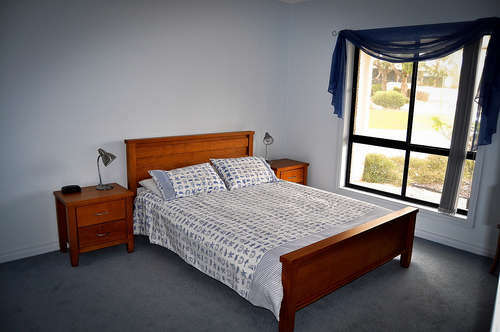 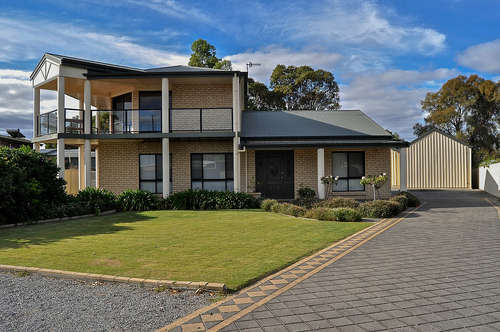 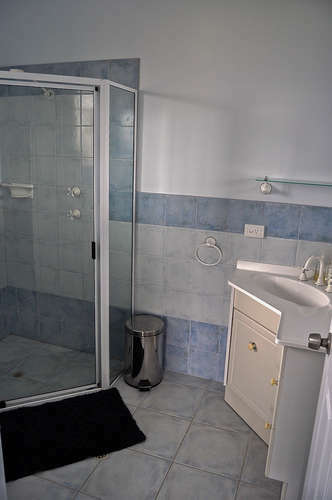 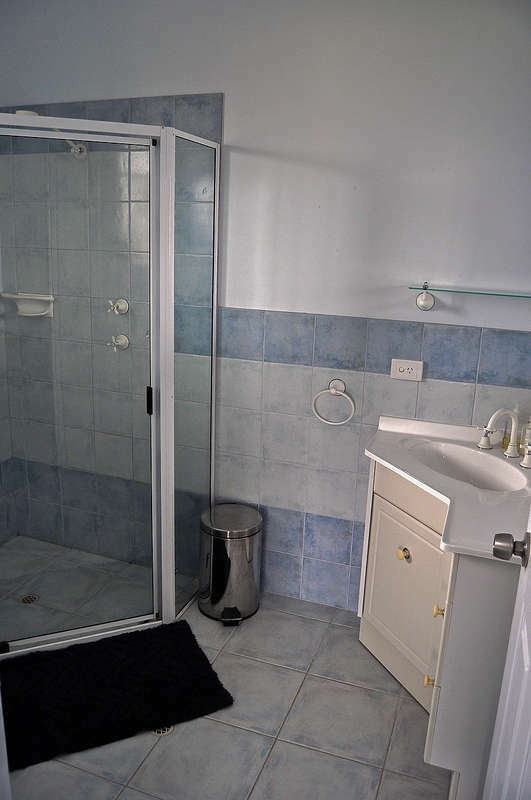 This is a great property to base yourself in Coffin Bay. 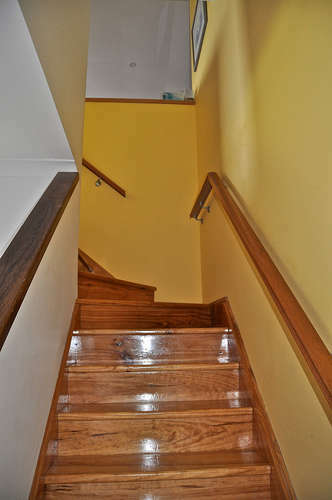 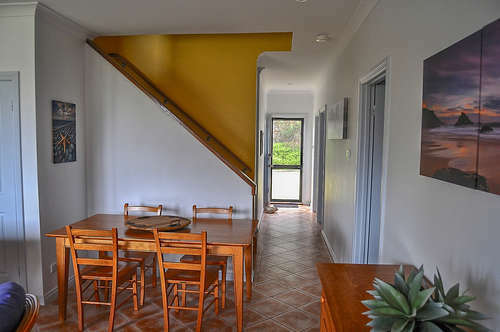 Upstairs you will find the air-conditioned open plan living area and a well equipped “Foodie‘s Kitchen” with plenty of bench space and a dishwasher. 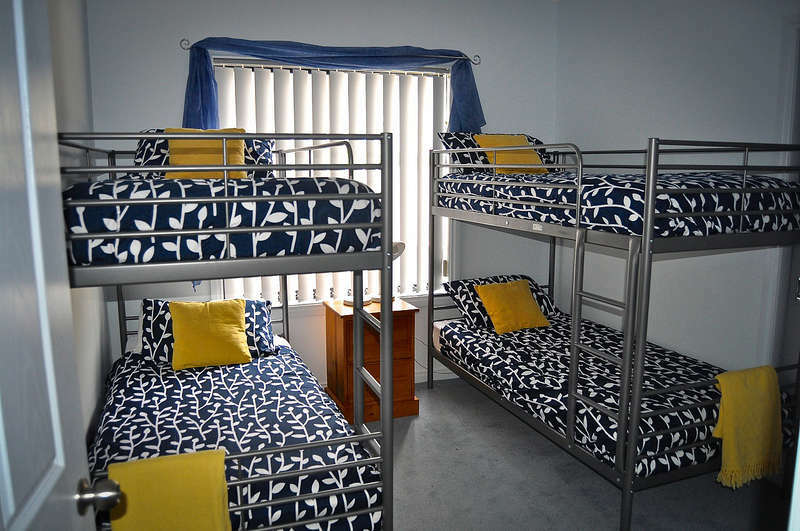 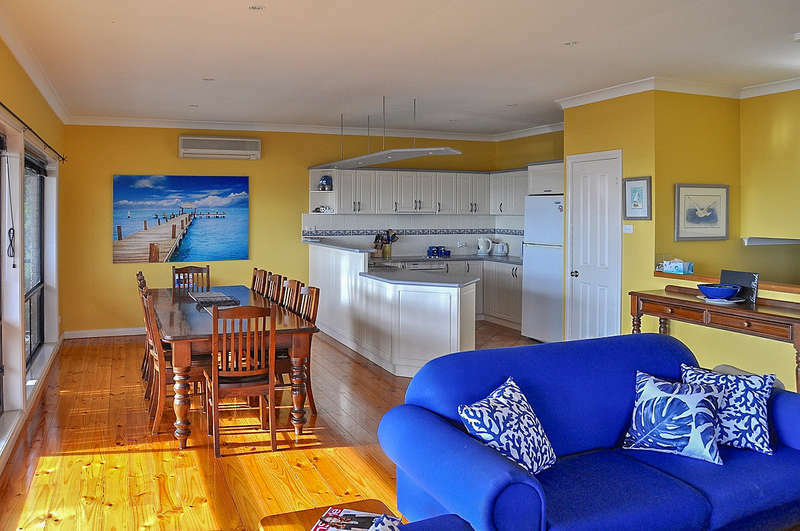 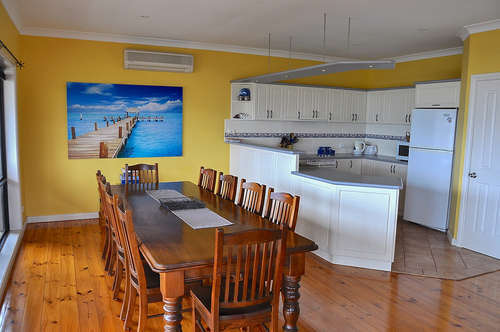 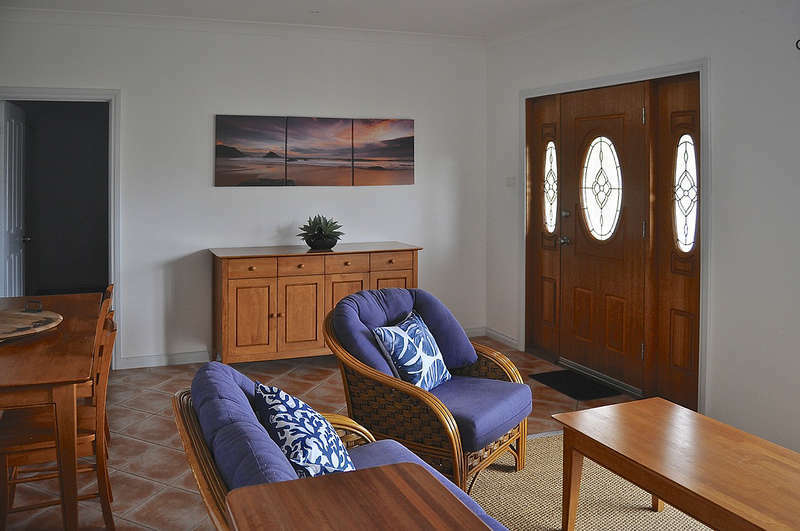 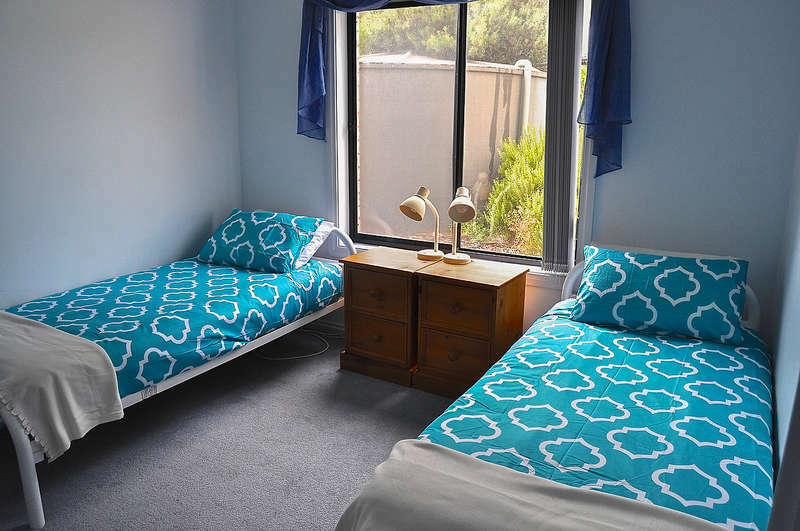 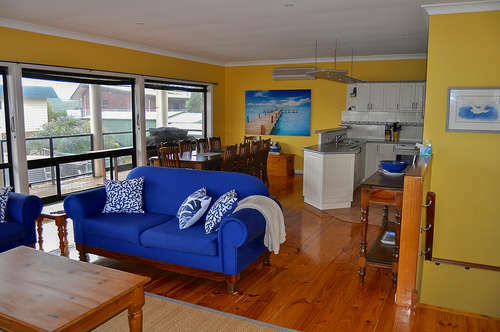 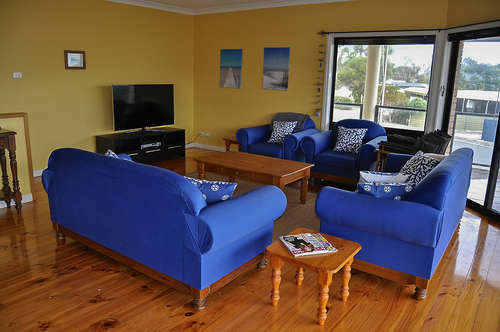 Coffin Bay Retreat has plenty of room for large family groups. 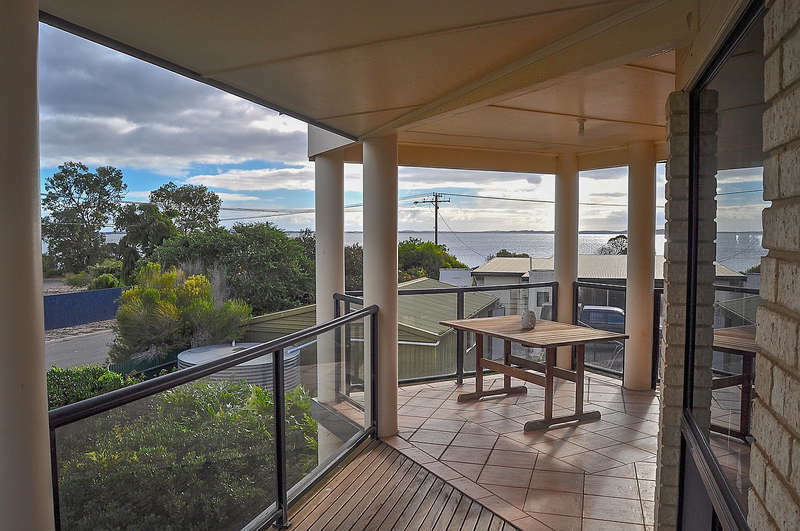 The wall-to-ceiling windows offer great views over the bay - not to mention the amazing sunsets over Coffin Bay National Park. 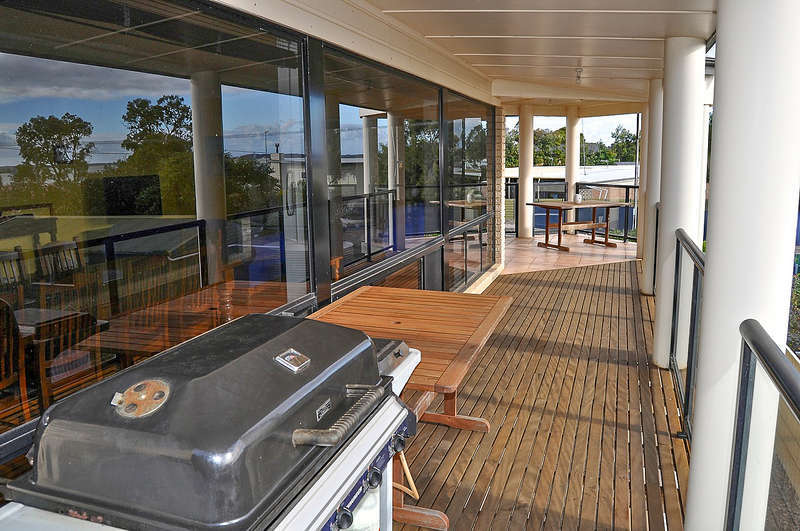 Everyone will be volunteering to cook the barbecue on the spacious front balcony - the views don't get better. There is also a lovely, well maintained garden complete with fish cleaning facilities and plenty of area for the kids to run around. 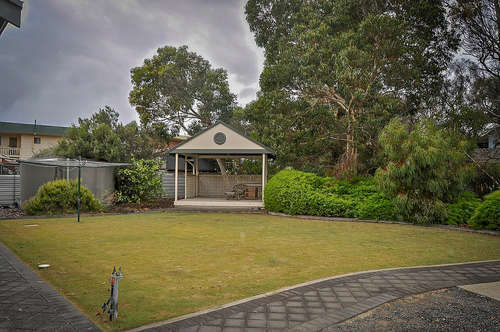 A large Gazebo is situated in the rear of the properties with soft furnishings to cater for that long extended Happy Hour.. which will lead into a delayed BBQ.